Cassava tortillas are both easy and delicious (check out my three-ingredient recipe), but even one tortilla can be too filling and too much starch for my keto readers. They’re also difficult to make crunchy without getting brittle. The solution? TACO CUPS. I am no food genius, but these are pretty darn clever, if I do say so myself. 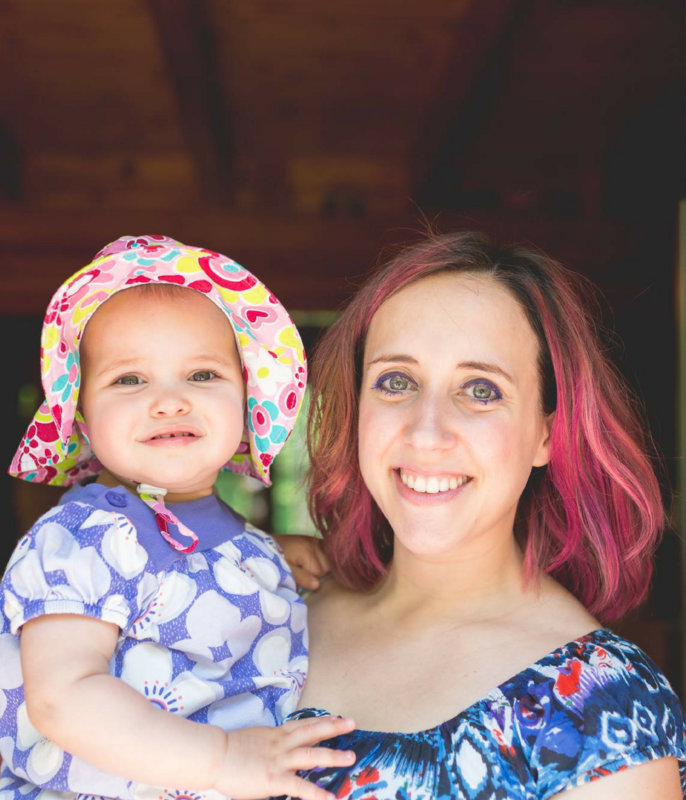 They are fun to make, kids love them, and they are the cutest thing to ever happen to tacos. I mean, it’s a taco…in a cup. They are like mini taco salads with a crunchy cassava flour shell. Plus, you can fit more ingredients in and they’re easier to eat than a regular taco–an instant hit for any party, potluck, or family taco night with mess-prone kids (OK, they will still get messy). There are two gadgets you need to make these successfully: one is not totally necessary, but will cut your prep time in half. The other is essential to getting the cup shape. A good cassava flour will replace the high-lectin wheat or corn flour used in traditional taco shells. This is the debatably unnecessary gadget, but one my kitchen doesn’t function without. Tortillas are sometimes a weekly staple in our house. The ease of simply pressing down on this gadget, peeling, and flipping the round dough onto a skillet transforms taco night from a 2 hour arm workout into a 3o minute fun task. I personally use the Victoria cast-iron press and highly recommend it. You’ll use a slightly different method for making a taco cup round vs. a tortilla round. Rather than using the lever to apply pressure and flatten the tortilla, you’ll simply let the press lid fall onto a 1-ounce ball of dough. When you don’t apply pressure, the result is a smaller, thicker round that will easily drape and mold to a cup shape. You’ll be using the underside of a 12-cup regular-size muffin tin to make these. Simply drape and fold the pressed dough over the bottoms of the cups. Then pop into the oven to bake until golden brown. 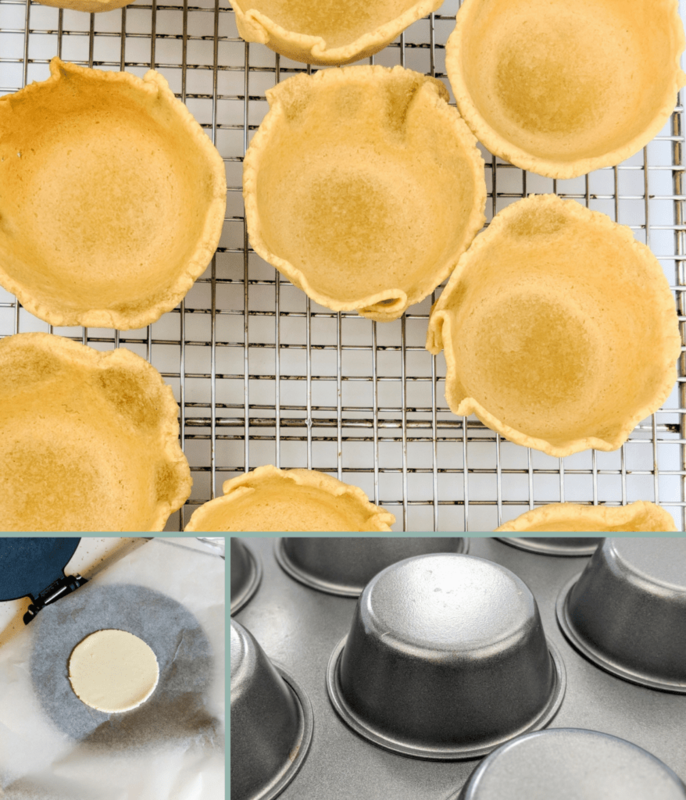 Flip the pan onto a cooling rack, and behold: golden brown, crispy taco cups. 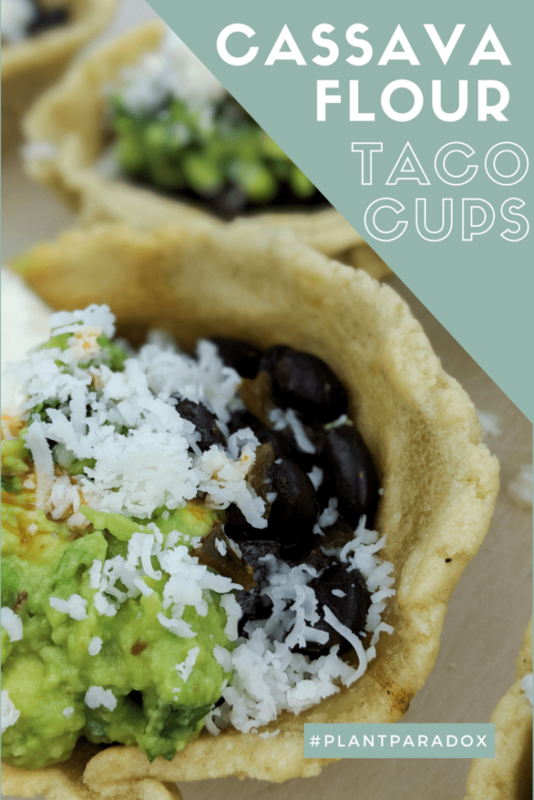 A quality cassava flour makes great tortillas–the texture is almost indistinguishable from wheat flour tortillas, and it browns and crisps up nicely to make these taco cups. That being said, the quality of the cassava flour is important to success here. I have never had a bad experience baking with this flour, and it’s always the one I recommend. 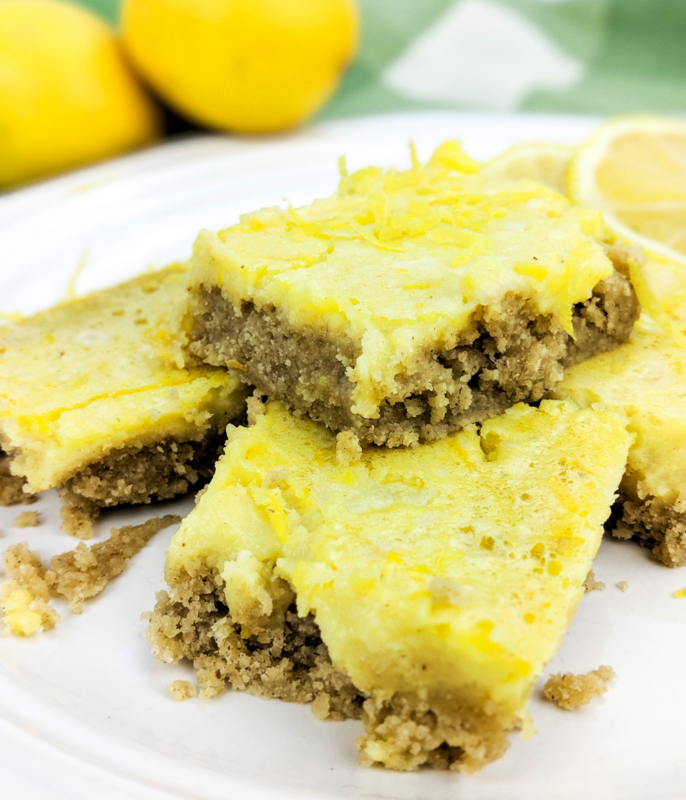 Get up to 50% off cassava flour. PREHEAT oven to 425 degrees F. Oil the undersides of a 12-cup muffin tin. 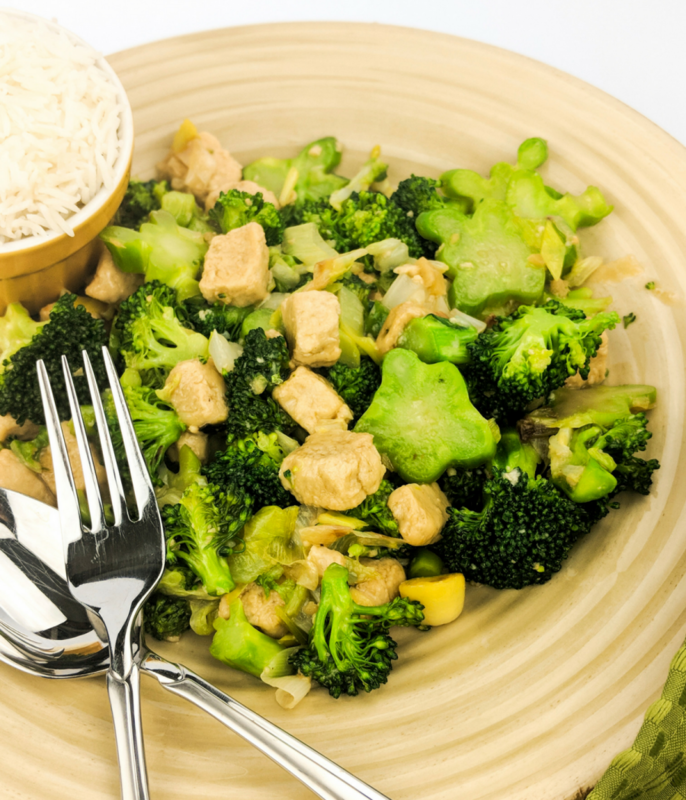 COMBINE the cassava flour, coconut milk, butter/shortening, and warm water in a medium bowl until well combined. Separate dough into approximately 12 1-ounce balls. Lightly sprinkle 2 sides of each dough ball in a little bit of cassava flour. Then roll with a pin or flatten in a tortilla press between 2 pieces of parchment paper into small 4-inch rounds. PEEL dough away from the parchment paper and drape over the undersides of muffin cups, folding and pressing dough to adhere to cup shape, as necessary. Bake until golden brown, about 20 minutes. Let cool before filling with desired toppings and serving. STORAGE: Cups can be sealed and stored at room temperature for up to a week or frozen for up to a month. To reheat, bake at 425 degrees F for 8-10 minutes (they will be crispier than the initial cups). Here’s my favorite recipe for pressure cooked spicy black beans to go in those crispy taco cups. 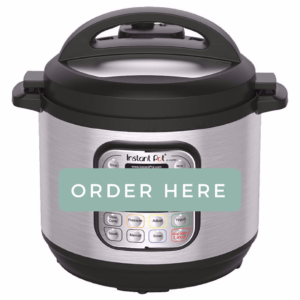 Click HERE to read more about pressure cooking! HEAT oil in an Instant Pot of medium nonstick skillet over medium-high heat (Sauté feature). Add onion and cook, stirring for 2 minutes. Add all spices and coconut aminos and stir for 1 minute to coat. Transfer to pressure cooker if using a skillet. ADD black beans and their liquid to the pot, along with several grinds of salt and pepper. Pressure cook for 5 minutes using high pressure. Release steam and season with salt and pepper to taste. 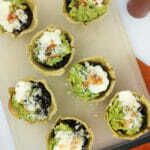 FILL each taco cup with a thin layer of lettuce and then black bean mixture. Top with goat Cheddar, guacamole, sour cream, and a dash of hot sauce, if desired. 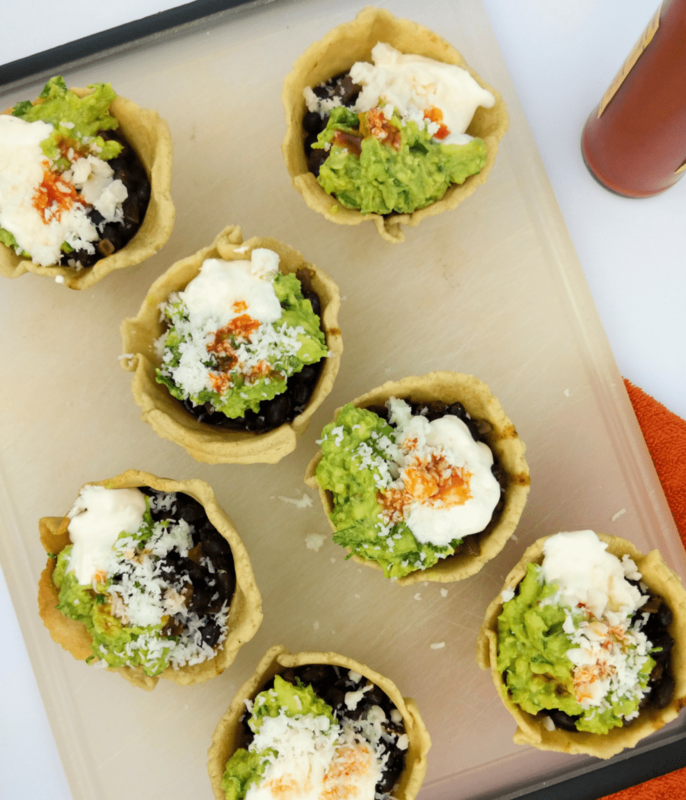 Spicy pressure cooked black beans in crispy, golden brown cassava taco cups. 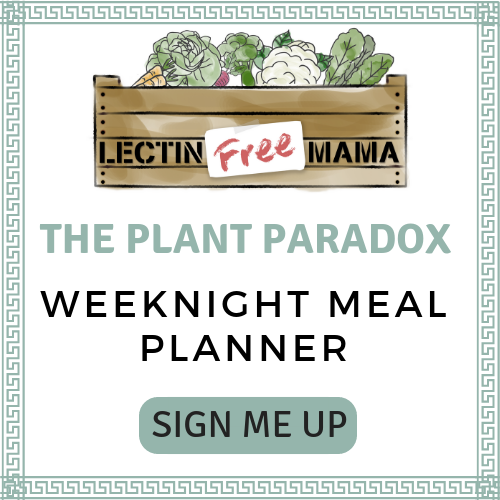 A perfect Plant Paradox phase 3 or phase 2 vegetarian meal. PREHEAT oven to 425 F. Oil the undersides and sides of a 12-cup muffin tin. COMBINE the cassava flour, coconut milk, butter/shortening, and warm water in a medium bowl until well combined. Separate dough into approximately 12 1-ounce balls and roll or flatten in a tortilla press between 2 pieces of parchment paper into small 4-inch rounds. PEEL dough away from parchment paper and drape over the undersides of muffin cups, folding and pressing dough to adhere to cup shape, as necessary. Bake until golden brown, about 20 minutes. Let cool before filling with desired toppings and serving. HEAT oil in an Instant Pot or medium nonstick skillet over medium-high heat (Sauté feature). Add onion and cook, stirring, for 2 minutes. Add all spices and coconut aminos and stir for 1 minute to coat the onions. Transfer to a pressure cooker if using a skillet. ADD black beans and their liquid to the pot, along with several grinds of sea salt and black pepper. Pressure cook for 5 minutes using high pressure. Allow steam to naturally release. Season with salt and pepper to taste. FILL each cup with a thin layer of lettuce and then black bean mixture. Top with goat Cheddar, guacamole, sour cream, and a dash of hot sauce, as desired. STORAGE: Cups can be sealed and stored at room temperature for up to a week or frozen for up to a month. To reheat, bake at 425° F for 8-10 minutes (they will be crispier than the initial cups). Hi, so I tried cassava flour and it’s deicious and works perfectly but turns out I’m allergic to it. Also to latex, bananas and avocado, a common allergy apparently. I’m so bummed because it really works well. 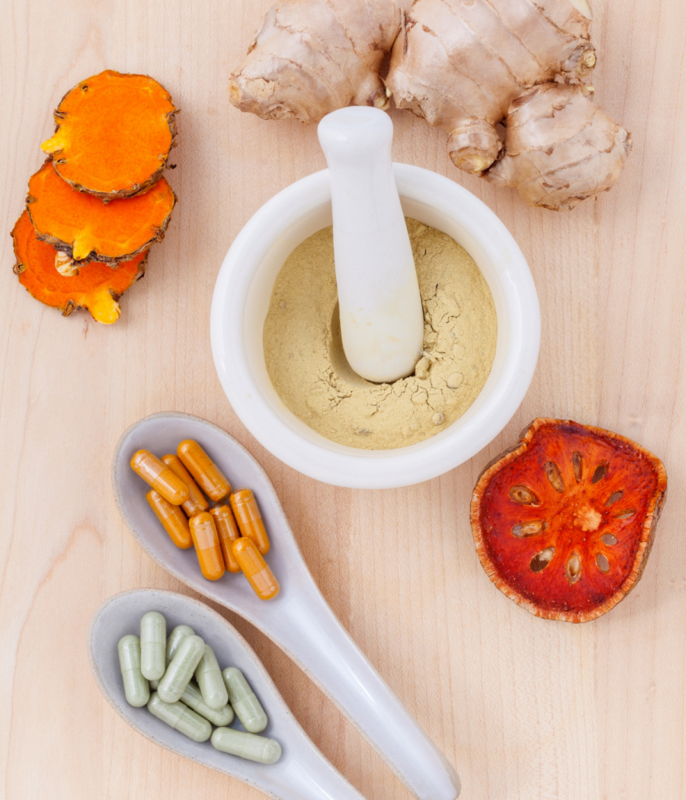 Can you recommend another lectin/gluten free flour that would work in your recipes? Sorry, I don’t know without trying which flour would work best as a replacement in these. Others have made tortillas out of coconut and almond flour. You could try a combo of those flours and add liquid until you get a soft–but not sticky–dough?